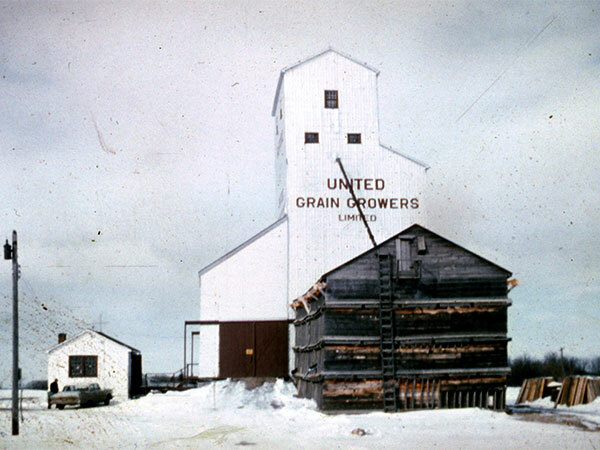 A 52,000-bushel wooden grain elevator at Rufford, on the CNR Rapid City Subdivision in what is now the Rural Municipality of Minto-Odanah, was built around 1951 by United Grain Growers. 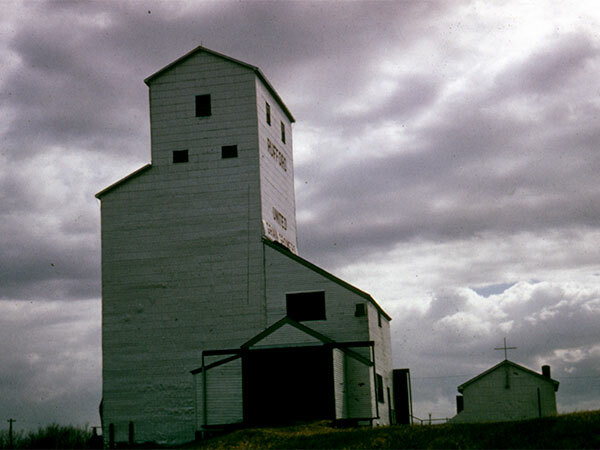 Closed in April 1968, it was demolished in April 1971. Moorepark East topographic map, 62J/4 West, Edition 1 ASE, Series A743 [UFS Reference Collection]. We thank Joyce Shuttleworth and Albert Shuttleworth for providing additional information used here.